This article is part of an ongoing series. Read Part I. 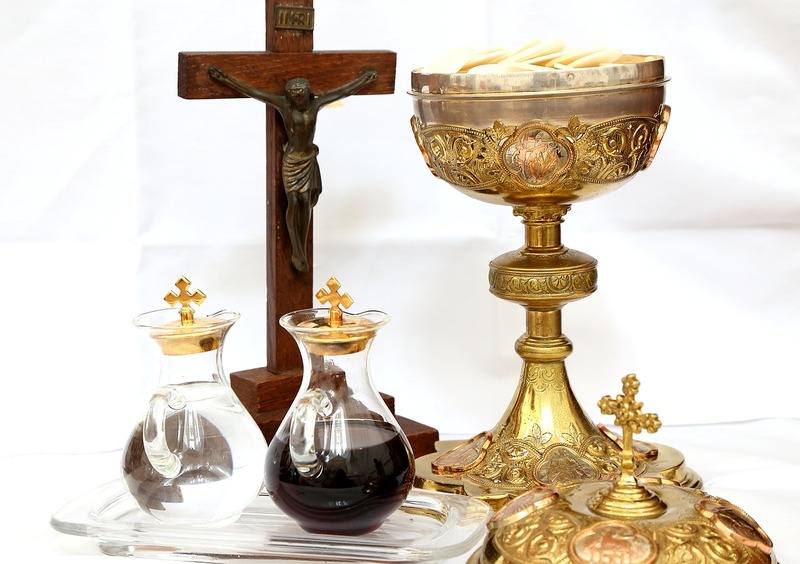 The Catholic Church, as well as the Orthodox Churches, have believed and professed from the beginning of their existence that Jesus Christ is truly present Body, Blood, Soul, and Divinity in the Eucharist. Unfortunately, some recent surveys have shown that only some 33 percent of Catholics believe this is true. Most Protestants also do not believe in the Real Presence of Jesus in the Eucharist. To understand the reality and significance of Christ’s Real Presence in the Eucharist, I went to the sources of revelation for Orthodox Jews and Catholics — namely, Scripture and Tradition. John tells us that Jesus taught this doctrine in the synagogue at Capernaum. And his followers had a tough time accepting it. “This is the bread which came down from heaven, not such as the fathers ate and died; he who eats this bread will live forever” (John 6:58). If Jesus had wanted His Jewish disciples to regard the Eucharist as ordinary food and drink, he would certainly never have identified it as the new manna from heaven. But I was curious as to how Jesus was going to implement the manner in which bread and wine would become His Body and Blood. Ultimately it would require faith based on Scripture, Tradition and some use of reason to see that it was at the Last Supper that Jesus chose the time to fulfill what he had announced at Capernaum by giving His disciples — and us — His Body and Blood, the Eucharist. About a year after I entered the Church, I got into a discussion with a Protestant friend on the interpretation of the Bible. How does one know the revealed truth? He told me he was taught by his church that he could know the truth by reading the Bible and praying to the Holy Spirit for inspiration. I asked him, since I was a baptized Christian who believes that the Bible is the inspired word of God, if I could do the same in order to know the truth. He answered affirmatively. I then asked him about certain Scripture passages dealing with the Last Supper (Luke 22:19-20) and the Bread of Life (John 6). I asked him whether he believed that when Jesus said, “This is My body; This is My blood” and “if you do not eat the flesh of the Son of Man and drink His blood, you will not have life in you,” whether Jesus was speaking symbolically or literally. He replied symbolically. I asked him, “How come the Holy Spirit is telling you one thing and me another, because I believe that Jesus was speaking literally?” I believe that the Eucharist is the same Jesus who walked the earth 2,000 years ago and who now sits at the right hand of the Father. Since the Holy Spirit is incapable of misleading anyone, it seems only reasonable to believe that the gift to interpret the Bible does not reside in every Christian, no matter how holy and prayerful that person might be. If my Orthodox Jewish faith taught me anything, it taught me that there is no such thing as private interpretation of scripture. That this has always been the conviction of the Church of God can readily be seen from writings of the Fathers and Doctors of the Church, as well as from the documents of many Church Councils. Because Christ our Redeemer said that it was truly His body that He was offering under the species of bread, it has always been the conviction of the Church of God, and this holy council now declares again, that by the consecration of the bread and wine there takes place a change of the whole substance of the body of Christ our Lord and of the whole substance of the wine into the substance of His blood. This change the holy Catholic Church has fittingly and properly called transubstantiation. Saints Ambrose, Chrysostom, and Cyril are from the 4th and 5th centuries, while St. Thomas is from the 13th century. It should be noted that these Fathers and Doctors lived many years before the Reformation. If one claims to be a Catholic, he must believe that Jesus is truly present in the Eucharist, Body, Blood, Soul, and Divinity. It is a dogma of the Catholic Church. There is no choice regarding this belief.